What Can I Do to Lower My Risk of Heart Disease? Heart disease refers to different kinds of heart conditions. The most common form of heart disease in the US is coronary artery disease which involves abnormalities with blood flow to the heart. Reduced blood flow can cause a heart attack. Almost half of all people in the US (47%) have at least one of these three risk factors. Family history: Your risk for heart disease increases if you have a close member of your family who had heart disease early in life. Gender: Research shows that women and men have different risks due to gender biological factors. For example, estrogen gives women some protection against heart disease. On the other hand, diabetes carries a greater risk of heart disease for women than in men. Age: As you age, your risk for heart disease increases. Men 45 and older and women 55 and older have greater risks. Race/Ethnicity: Certain racial/ethnic groups have higher risks for heart disease. African Americans are more likely than Caucasians to develop heart disease. Hispanics and East Asians are less likely to have it. Stop smoking: If you're a smoker, quit or cut down on the amount. If someone you live with smokes, do your best to convince them to quit. While it's not easy to stop, there are many cessation aid products that can make it easier. Check Your Blood Pressure Frequently: Since hypertension is a leading cause of heart disease, check your blood pressure frequently to see if it’s in the normal range. If your blood pressure is elevated, take steps to keep it under control. Exercise Regularly: Regular workouts help to strengthen your heart and improves circulation. Exercising regularly also helps you maintain a healthy weight. Lowering cholesterol and blood pressure are also important heart-healthy exercise benefits. Eat a healthy diet: Limit your intake of sodium, added sugars, and saturated fats. Eat plenty of fresh food such as vegetables, fruits, and whole grains. Eat fat-free or low-fat dairy products. Include lean proteins such as poultry, fish, beans, nuts, and vegetable oils in your diet. Limit alcohol: Too much alcohol can raise your blood pressure and cause weight gain from the calories alcohol contains. Men should limit alcohol to two drinks per day, and women should have no more than one. 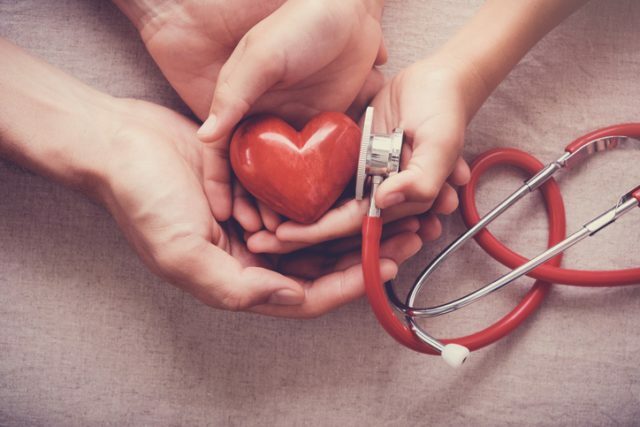 To find out more about heart disease and how to prevent it, make an appointment today with one of our board-certified NYC cardiologists at Park Avenue Medical Professionals. Our doctors have extensive experience in diagnosing and treating cardiovascular disease.